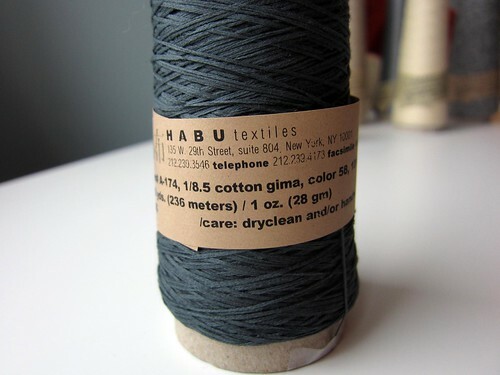 So there’s this little yarn company, called Habu Textiles. You may have heard of them (you may not). 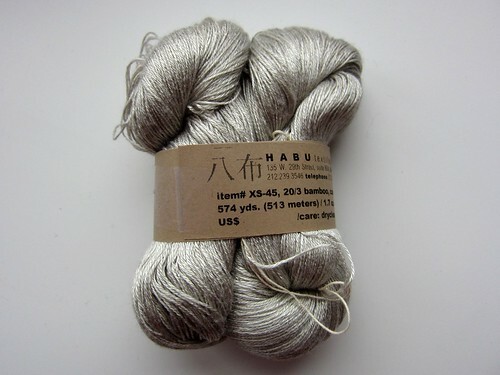 In short, really really unique Japanese yarns that are nothing short of artwork in their own right. We get a lot of people oohing and aahing over them, so I wanted to let everyone else get up close and personal. From left to right. Top row: Tsumugi A-1 (100% silk), Cotton Gima A-174 (100% cotton), Fine Merino N-75 (100% merino), Silk Stainless A-20 (69% silk, 31% stainless steel), Raw Silk Wrap Steel N-88 (raw silk and steel). 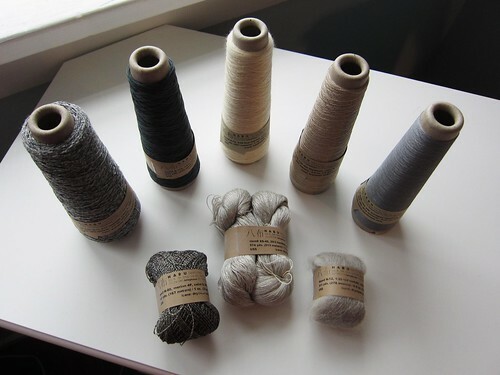 Bottom row: Wrapped Merino 4P N-80 (100% merino with fine silk wrap), Lace Bamboo XS-45 (100% bamboo), Ultrafine Kid Mohair N-52 (68% kid mohair, 32% nylon). These all come in loads of vibrant colours, but I tried to keep them all neutrals here to show off the texture. 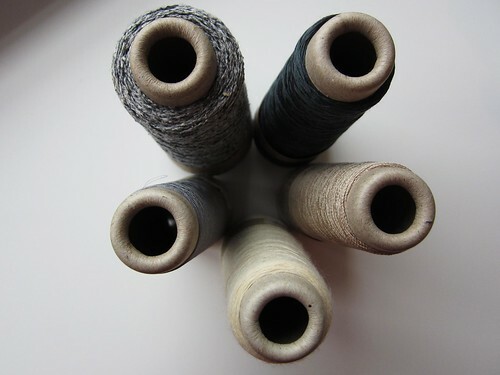 Interesting fact, even though these are all listed as laceweight, there is a huge amount of variation between them. Many, when doubled, can serve excellently as a DK or heavier weight yarn. Swatching is, as always, highly recommended. Shall we get into them each in turn now? 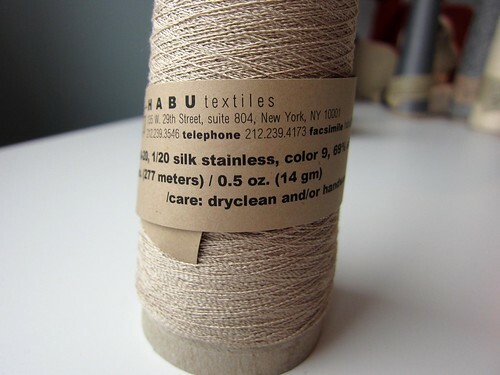 If I were in your shoes, I’d just be looking at the pictures, so I’ve just pulled the descriptions from Habu’s own site. Gima means to “fake linen” in Japanese. It feels like linen, but does soften up greatly as soon as you handle or wash it. Only 3-4 balls of this yarn will make a whole garment. Good warp yarn also. This is a fine wrapped stainless steel wrapped in “raw” silk. It is finer than A-20, the other silk stainless steel and is almost translucent. Extremely strong. You can knit this with another yarn. Beautiful as a warp yarn for weaving. 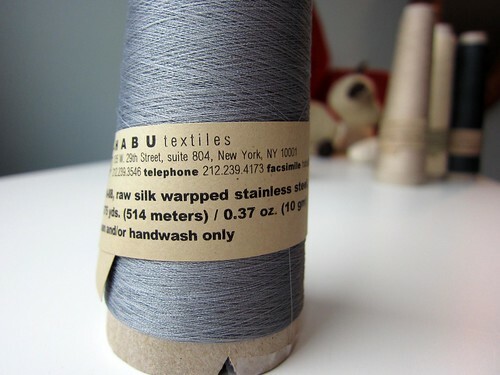 Such soft yarn… Beautiful sheen… Long awaited dyed version of XS-6. 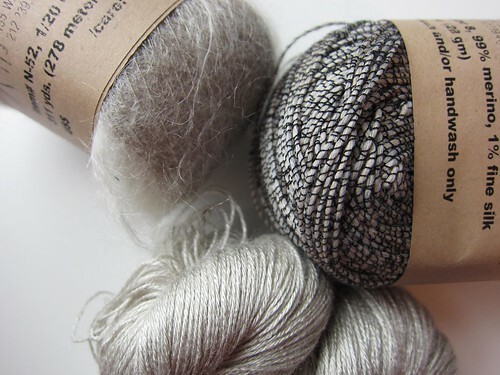 Great yarn for lace projects. 2 skeins will make a large shawl. Perfect as a warp/weft yarn for weavers, too. If you live in a hot humid climate, you will like this yarn. Bamboo yarn is cool against your skin! This is an “extremely” fine kid mohair. 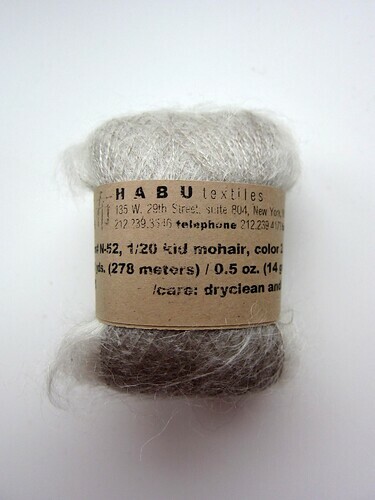 The yardage is about twice as much as A-32 silk mohair. 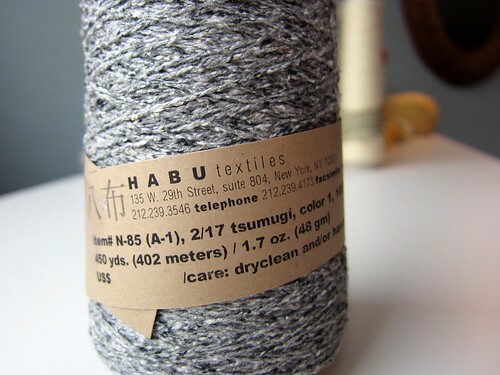 A garment can be knitted from just 3-4 balls of this yarn! It is weightless like air. Beautiful as a weaver’s warp, too, but please be careful not to set them too close. It will catch each other. Whew, congrats if you’ve made it all the way through! 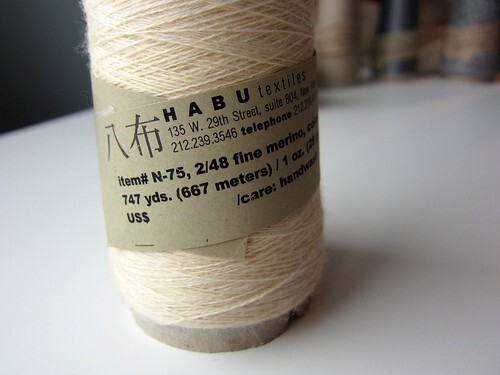 Habu yarns are particularly unique, and as such, pretty much impossible to substitute out of a pattern. 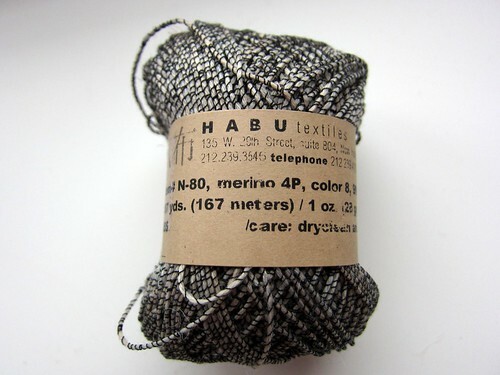 Thankfully, Habu does offer their own line of patterns (we have some kits in store). Also, Coco Knits does a lot of designs with their yarns, and we have a number of them in-store (namely Anna, Hanna, Ilse, Liesl, Gisela, Paulina, Louisa, Ruby, Sabine, Weekend Wrap, Silke and Maria – whew, again). Also, my personal favourite is Insouciant by Julie Hoover – probably the single most popular pattern of last summer. This entry was posted on Tuesday, May 28th, 2013 at 7:18 pm	and is filed under Uncategorized. You can follow any responses to this entry through the RSS 2.0 feed. Both comments and pings are currently closed.